Wow was this movie dull. Not a brilliant idea to cast Johnny Depp as iconic Southie mobster Whitey Bulger and then sideline him so his story is told through a bunch of dreary, uncharismatic secondary characters nobody cares about. Depp is actually pretty good as the chilly, psychopathic, paranoid, kind-of-stupid Irish-American hoodlum but his performance is buried in a film of breathtaking tediousness. The cast includes Matt Damon's ginger cousin, Aussie leading man Joel Edgerton (who is great in the creepy drama The Gift which is still playing in some cinemas) and it-boy Benedict Cumberbatch (as Whitey's brother Bill) but none of them are remotely interesting on screen. Bulger himself wasn't that interesting either in real life but the story of Whitey and his senator brother should have been electric. It wasn't. The screenplay was written by Mark Mallouk (who I hadn't heard of) and the great Jez Butterworth (of Jerusalem fame) but Mallouk is from Kansas City and went to, ahem, Pepperdine and Butterworth is a posh English boy. What the hell do they know about Boston, never mind Southie? Seriously, was Dennis Lehane not available? We're in Boston in the 70s and nobody mentions busing or the Sox or race riots or clam chowda or Larry Bird? Did the writers even visit Boston? Black Mass is dismal stuff. The story plods along for about two hours and then just sort of gives up. It's an incredible waste of talent only leavened a little by some hilarious attempts at Boston accents. If you'll remember the last time they sort of did the Whitey Bulger story it was called The Departed starring Jack Nicholson and that movie famously had the worst Boston accents of all time. (The recollection of Martin Sheen arguing with Alec Baldwin brings tears of joy to my eyes to this very day.) 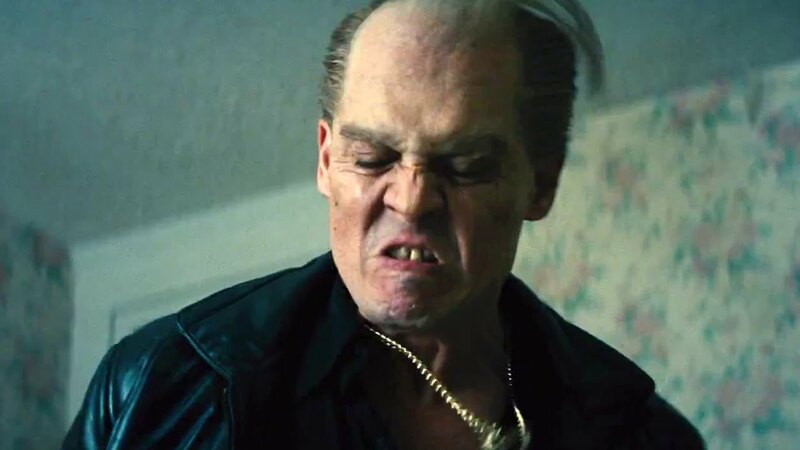 The Boston accents in Black Mass are also hilarious. Benedict Cumberbatch is my new favourite worst Boston accent on film - comedically it's almost up there with Sheen - but admittedly this bit of mirth does take you somewhat out of the movie. Whitey Bulger is probably not a compelling enough character to have a third movie made about his life and for this the muse of drama is grateful but the muse of unintentional comedy is sad. Here's Benedict as William Bulger in his most exciting scene in the entire film.